Vinyl Fencing – Is It A Wise Investment? Vinyl fences have become a popular option for many residential fencing needs due to the many positive features offered by this type of material. When professionally installed by an experienced vinyl fence company, these barriers are attractive and offer a long service life, making them a preferred choice by many homeowners. 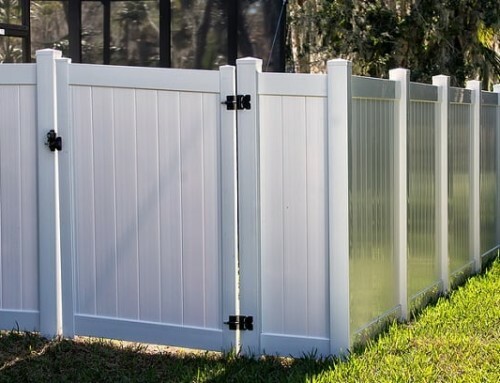 Those considering vinyl fence services usually find them to be a worthwhile investment due to the many advantages this type of fencing product can provide. One of the most distinctive things about vinyl fences is their availability in so many types and styles, giving homeowners endless options for creating the look they desire. Vinyl is used today to mimic the look of most other types of fencing while providing the many benefits of vinyl. They can be made to look like privacy panels, post and board, various types of pickets, and even faux brick, stone, and iron. From as little as a few feet away, these systems look like the real thing when properly installed by a local vinyl fence company. Vinyl is easier and faster to install than most other types of fences. Installation by vinyl fence services can be completed in a fraction of the time required for other fencing types as they come in pre-fabricated sections that simply bolt onto the support posts or frame. Although the installation process must begin by sinking wooden posts into the ground to provide the greatest stability for the entire system, the rest happens quickly and easily. In addition to being much easier to install than most other options, vinyl fences are one of the most low maintenance options available. They require no painting since the color is molded into the material and can be cleaned by using a hose and brush to wash off any dirt and grime. Should a panel or section be damaged in any way, replacement is also a simple procedure, as any homeowner or vinyl fence company can just unbolt the damaged panel and replace it with a new one. Vinyl is a long-lasting and durable material that can last a lifetime when properly installed by vinyl fence services. It is completely waterproof as well as rust and UV-resistant, preventing the decay and decomposition seen with natural materials. It will not splinter, peel, or crack, and is not affected by insects or animals. Since posts are sealed inside a protective covering of vinyl, they last much longer than those exposed to the elements. Are Vinyl Fences A Wise Investment Choice For Homeowners? Although they may initially cost a bit more than some other options, they are definitely worth the cost thanks to their many advantages. Vinyl gives homeowners the option to install an imitation of a more expensive barrier at a lower cost. Because vinyl is long-lasting, attractive and stylish, it is a preferred choice of many homeowners and regularly installed by vinyl fence services everywhere. When professionally installed by a local vinyl fence company, homeowners can improve the look of their property in no time and avoid the maintenance requirements that come with many other materials! Interested In Vinyl Fences In College Station Texas? College Station Fencing Is Your Local Vinyl Fence Company!